MOSCOW, March 16. /TASS/. Russian traveler Fedor Konyukhov, who is making a round-the-world journey in a row boat, spent 100 days in the ocean already, the expedition’s organizer, Oskar Konyukhov told TASS on Saturday. 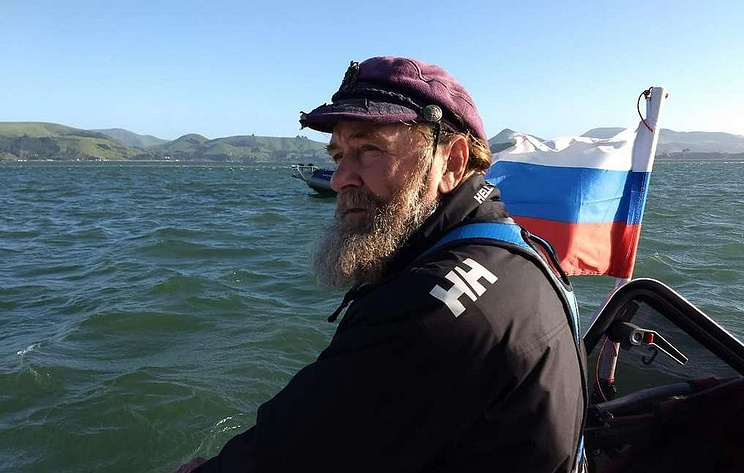 "Fedor Konyukhov continues his solo circumnavigatory sail onboard the row boat Akros. Since the start in New Zealand’s port of Dunedin on December 6, Konyukhov has spent 100 days in the ocean and covered 8,000 km. Thus, he rowed the distance from Moscow to Khabarovsk and continues his journey to the east," he said. The circumnavigator’s route is divided into three stages: Dunedin (New Zealand) - Cape Horn (Chile), Cape Horn (Chile) - Cape Leeuwin (Australia), and Cape Leeuwin (Australia) - Dunedin. Konyukhov will have to row 27,000 km in total. Konyukhov has already made five round-the-world journeys, crossed the Atlantic 17 times and became the first Russian who reached seven highest peaks in six parts of the world, as well as the South and North Poles. In 2007, Konyukhov already went around the Southern Hemisphere onboard the sailing boat Alye Parusa (Crimson Sails) through the Atlantic, Indian and Pacific Oceans.